Often, our customers ask us why their conversions in Facebook Ads and Google Analytics do not match. It is a recurring doubt. Therefore, today we are going to explain the differences between the two attribution systems. In this post, we will answer how each one works, in which points they differ and moreover, which are the best tools to measure attribution. Let us begin! 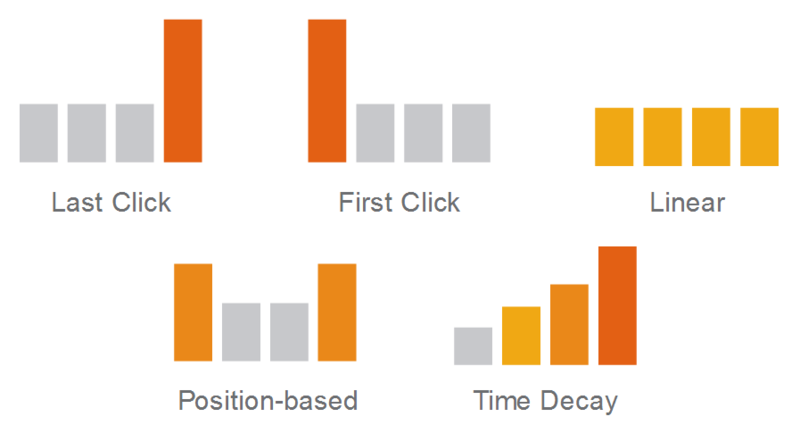 The attribution system of Google Analytics consists of a set of six attribution models that, thanks to the Model Comparison Tool, can be compared to observe how each one affects the valuation of the different marketing channels. Let’s see what and how these different models are. The last point of contact receives 100% of the value of the sale. The last channel in which the customer has clicked before the conversion receives all the value of the sale. The last click of Google Ads receives 100% of the value of the sale. The first point of contact receives 100% of the value of the sale. Each point of contact in the conversion path shares 25% of the value of the sale. The closest points of contact in time at the time of sale or conversion obtain the maximum value. 40% of the credit is assigned to both the first and the last interaction, and the remaining 20% ​​of credit is evenly distributed among the intermediate interactions. The conversion window refers to the period of time that elapses after a user clicks on an ad until Google Ads records a conversion. As an administrator, it is possible to edit the configuration of the conversion window for any web page, in-app action or phone call conversions that you are tracking. How and when do users interact with our ads from different devices? This question is answered by the Google Analytics multi-device attribution reports, which give you an insight into the path that each user takes to reach the conversion. For example, when you see an ad in the Twitter app while you´re waiting for the subway, but you buy ten days later on the web from your office computer. Analytics is able to show you the path that the user follows in each device until the point of purchase. Here we talk about three types of actions: those that users perform inside or outside of an advertisement and those they perform in both cases. For example, let’s say that today on Facebook or Instagram you see an ad that promotes cheap flights throughout Europe. You stay with the thought, but in that moment you don’t do anything. However, a week later you remember the campaign and access the advertiser’s website from your laptop. Once there, you buy two tickets for London. Enjoy yourself! In this case, the Facebook system will attribute the conversion to the ad only if it has taken place within a specific time period. Let’s have a look. Facebook’s attribution system is classified according to the type of action the user performs. By default, Facebook attributes the conversion if the action occurs on the same day that the user sees your ad or up to twenty-eight days after the user has clicked on it. If someone saw your ad and then bought the product, that conversion would be attributed to the view; but if you saw the ad and additionally clicked on it, the Facebook system will only register the click. The attribution window is the number of days that passes from when a person sees or clicks on an ad until he takes an action. Facebook reports the actions outside the advertisement based on the views and clicks. In the first case, we talk about attribution by visualization – when a person sees the ad, he does not click, but he does an action within the attribution window. While in the second case, we attribute by click -when a person clicks on your ad and buys the product or subscribes to the service. Also called multi-channel or cross-device, multi-device attribution reports allow you to see from which devices users saw your ads before they converted on your app or web page. This data is key, as it tells you what mechanism of your strategy is the one that has achieved the sale or the lead. Here you can see how to include the multi-device data in your Facebook analytics reports. Be careful, it is essential to have the pixel installed! So, what is the conflict between the two attribution systems? Basically, Facebook’s refusal to provide Google with the «Device ID». Which means that, since you can not combine cookies from the Facebook in-app browser with other browsers, Analytics can not take into account the cross-device conversions generated by Mark Zuckerberg’s social network. Furthermore, many of the conversions we see in Google Analytics from direct traffic are actually from Facebook. When someone clicks on an ad in Facebook, the in-app browser opens (with their respective UTM). However, once the user clicks on any link within the web, they no longer carry those UTMs in the URL. The problem comes when someone does not buy in that session, and then makes the purchase from another device. It can also occur if user clicks on the “View in browser” button, which Analytics will not associate the session with the one coming from Facebook. Apart from the problem that the conversion routes are not real, you can create duplicity of traffic. Visual IQ is a technology from Nielsen, the world’s leading measurement company. Among its multiple solutions for marketing, attribution clearly stands out. Its method allows you to track the end-to-end consumer journey, eliminating duplicates of unique users through channels and devices. Its success lies in the use of powerful algorithmic attribution approaches to effectively measure the importance of each point of contact, at granular levels, according to specific success criteria. 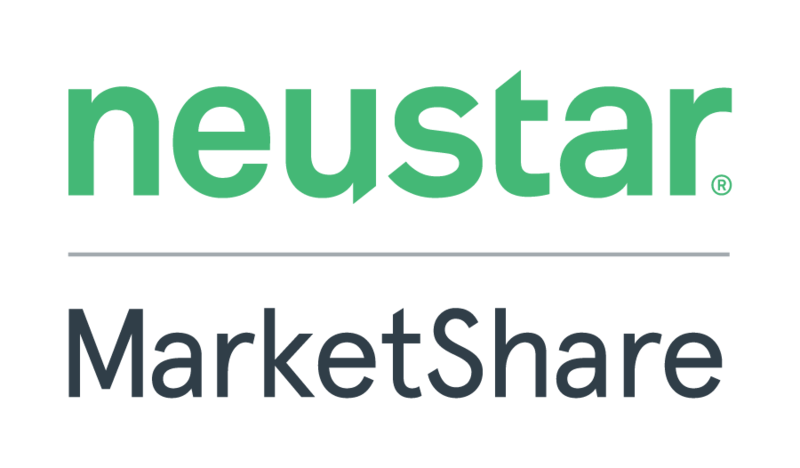 MarketShare is the marketing solution from Neustar, a North American company known for its information and analysis quality in real time. This tool also allows you to observe and understand the customer’s journey. Among its features, it tells you which media channels contributed to the performance of your campaign and why. Additionally, it allows campaign adjustments on the fly and using predictive information to see how changes impact business results. As we have seen, it does not seem that neither Google Analytics nor Google Attribution have any chance to measure the cross-device Facebook conversions at present. The only current remedy is to work with one of the solutions provided by the partners we have mentioned: Visual IQ or MarketShare. The other option would be to wait for the advances of Facebook Attribution, which according to some sources, are working on a multi-touch model. Although at the moment it is in a very limited beta phase. Thus, the most advisable thing is to make the effort to understand how each of the systems work; as well as being clear about their discrepancies. Without the attribution systems, you will not get a complete interpretation of the performance of your ads and online advertising campaigns. Have doubts? Contact us, and we will guide you through the attribution shortcuts in the digital medium. Our goal is that you control your performance at your fingertips.